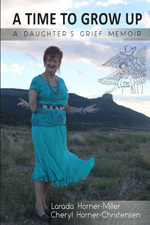 Larada Horner-Miller is a poet and essayist who lives with her husband in Tijeras, New Mexico—a town nestled in the east mountains above Albuquerque. She holds a bachelor’s degree in English, with a minor in Spanish, and a master of education degree in integrating technology into the classroom. For thirteen years, she was a beautician until transitioning into what would become a twenty-seven-year career in education. 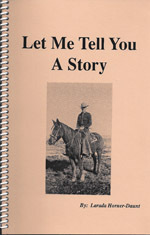 In addition to A Time To Grow Up: A Daughter’s Grief Memoir, her other publications include When Will Papa Get Home?, This Tumbleweed Landed, Let Me Tell You a Story, Branson-Trinchera Historic Photos (coauthored with Tom Cummins), and Building Capacity with the Common Core State Standards for ELA-Literacy (coauthored with Karen White). When Larada Horner-Miller’s father died in 1996, her mother told her, “Everyone grieves in their own way.” Horner-Miller took these words to heart when her mother passed away in 2013. She discovered that writing poetry was the best way of working through her fresh grief. Eventually she penned dozens of intimate, heartfelt poems about her parents’ lives and legacies and her deep sorrow and gradual recovery. Now she has gathered those verses into her first collection, A Time to Grow Up. Horner-Miller discusses the emotional challenges of caring for her parents at the end of their lives. Her words will strike a chord with any worried caretaker or child watching over ailing but fiercely independent loved ones. As Horner-Miller explores the nuances of bereavement through her poetry, she provides inspiration and comfort for readers coping with the same burdens. While many of her poems explore the depths of her anguish, others exude humor and warmth—a reminder that there is still always light in the world. 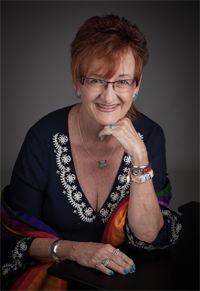 In addition to her poems, Horner-Miller includes biographical sketches about her mother and her father, as well as appendices that provide coping tips, suggested activities, and resources for others dealing with intense bereavement. Title: When Will Papa Get Home? This poignant historical novel of immigration takes you to the high plains of southeastern Colorado, where a Mexican-American girl grows up knowing that her father has been imprisoned for ten years for something he didn’t do. In When Will Papa Get Home?, Maria is taken back to her childhood home when she comes across a blue marble in her jewelry box. She remembers herself as an eight-year-old girl playing with the marble while waiting for her father to return to the rock-and-adobe homestead house her family had built with their own hands. 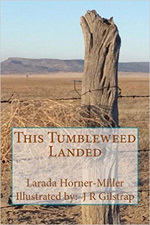 Based on the tale of “The Philly Place” that author Larada Horner-Miller has heard her whole life, this novel imagines the life of the person who might have left that very same blue marble behind, to be discovered by Horner-Miller while exploring her family ranch many decades later. Through the fictitious daughter of a man named Philadelphia Gonzales, this novel relates the experiences of a Mexican-American community struggling to live the American dream while surrounded by often-hostile Anglos. Yet, amid the prejudice and injustice are many who are kind and welcoming. These characters, along with Maria’s own determination and personal growth, create an inspiring, uplifting tale. “This Tumbleweed Landed is a window that opens into another time and place, where ranching is the livelihood, telephones are scarce, and dancing is the tie that binds a community and its families. 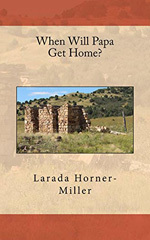 It is Larada Horner-Miller’s earnest and heartfelt memoir that celebrates good people, the pastoral life, cultural heritage, and her small-town, southeastern Colorado upbringing during the fifties and sixties. Through the mud pies and makeup, work and fun, and neighbors and family, watch this daddy’s little girl come into her own and search for her place in the world. “A tumbleweed has to land somewhere,” says a young Horner-Miller’s father, and like a tumbleweed, readers will enjoy skipping and dancing from one poem, essay, and page to the next as they discover treasures hidden in this tight-knit community that will land squarely on their hearts. This book tells the story of how my Grandfather put together our ranch in Colorado during the depression, a time when many ranchers were selling their land. My Mom, Elva Horner, was an exceptional cook. 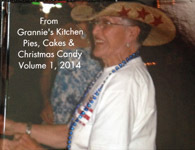 Here’s some of her best recipes for pies, cakes and Christmas candy. The layout is unique: I scanned in her actual recipe cards, so it’s in her handwriting with all the smudges and smears that years in the kitchen yield.